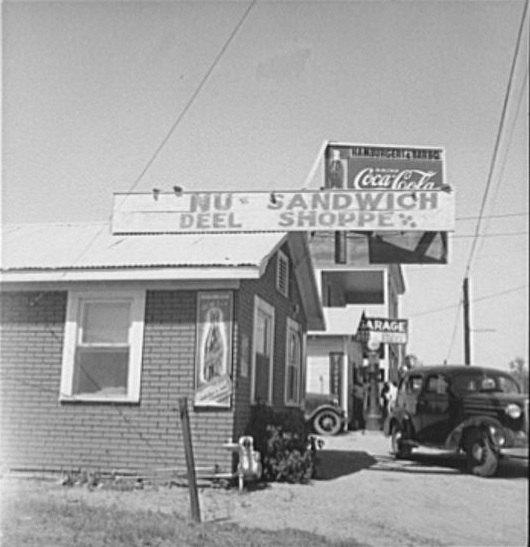 Roadside stand and filling station. Ennis, Texas. 1937. Photo by Dorothea Lange.